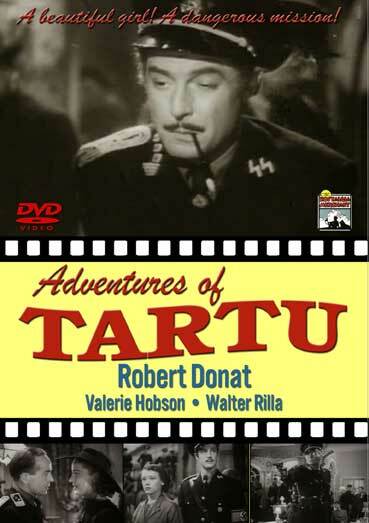 Jan Tartu is a British secret agent sent to sabotage a Nazi facility for manufacturing poison gas on a huge scale. He meets the gorgeous and mysterious Maruschuka, who lives a sumptuous lifestyle financed by the German officers she dates. Jan learns that she too leads a double life, sacrificing her virtue to gain intelligence for the Czech underground. The two ‘spies’ fall in love. Starring: Robert Donat and Glynis Johns. 1943 – BW – 1 Hr. 43 Min.